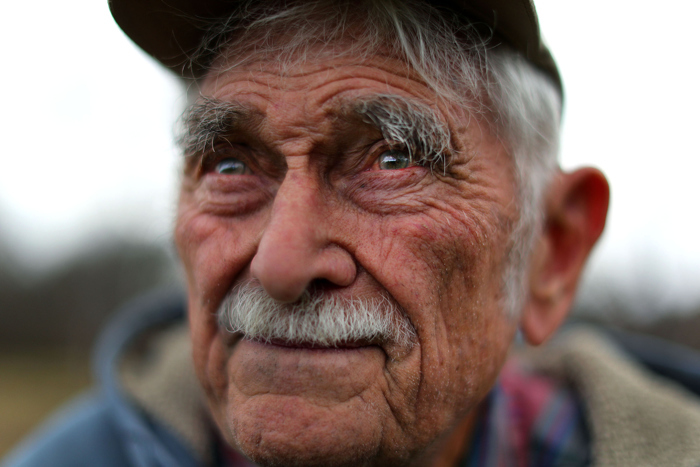 Brockton-11/15/17 Joseph Gerry, 92 , “The Chief” as his family calls him, has farmed his whole life at Gerry Farm in Brockton. He works every day and retirement of any sort isn’t something he ever considers. Years in the outdoors has weathered his skin, and he doesn’t seem to feel the cold. 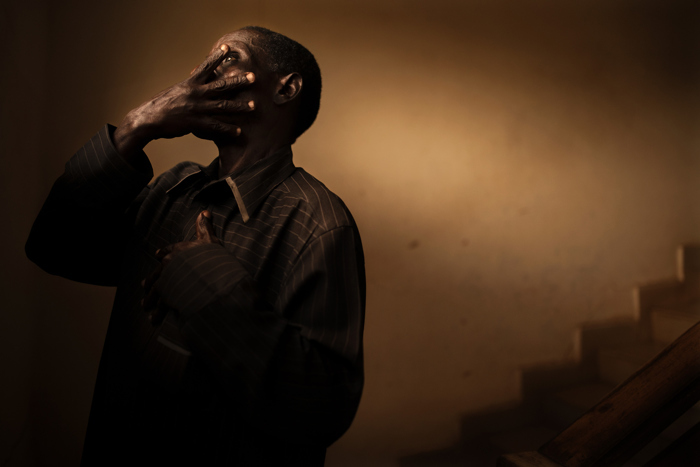 In north-central Nigeria, a portrait of an HIV- positive clinic worker shields his face from the camera because of the widespread stigma and shame of AIDS, on June 14, 2017. 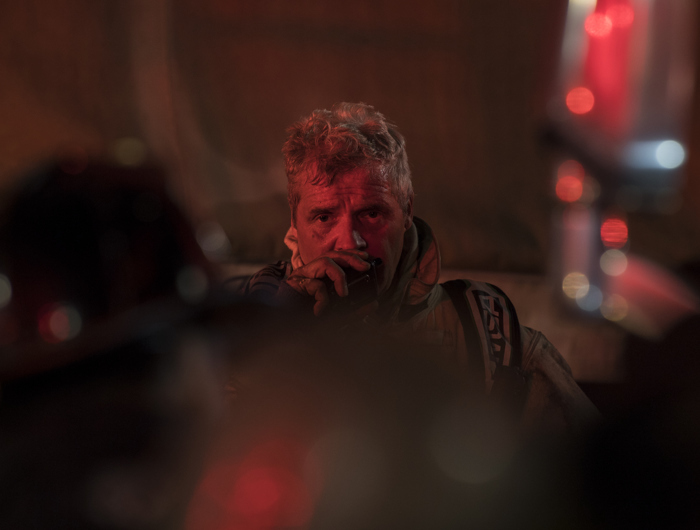 Boston, MA – 11/22/2017 Boston District fire Chief Joseph Casper on the scene of a 3 alarm fire 282 Hanover St. North End neighborhood of Boston. Double fatal fire. A strong gust of wind blows Robin Hempel’s hair as she stands in the field behind her home in Gilmanton, NH, Tuesday, Oct. 24, 2017. Robin was prescribed the antidepressant Paxil 21 years ago and quitting was near impossible. She succeeded in her last attempt by tapering over months but experienced extreme withdrawal side effects. The pharmaceutical industry has basically not been straight forward about the dangers of discontinuing anti-depression drugs. Actress Meryl Streep covers her face as she participates in a conversation with Gloria Steinem during the Massachusetts Conference for Women at the Boston Conference and Exhibition Center, Thursday, December 7, 2017. 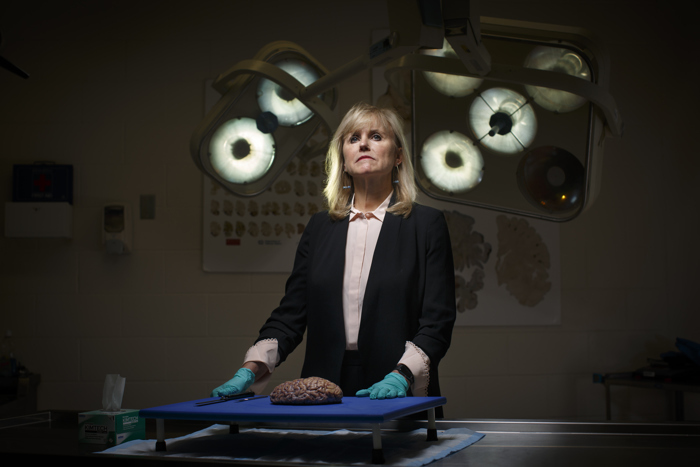 Dr. Ann McKee – a leading expert in the trauma-induced brain disorder known as CTE – is chief of neuropathology at the Veterans Affairs Boston Healthcare System, and Professor of Neurology and Pathology at Boston University School of Medicine. Photographed here with the brain of a former NFL player on November 29, 2017.